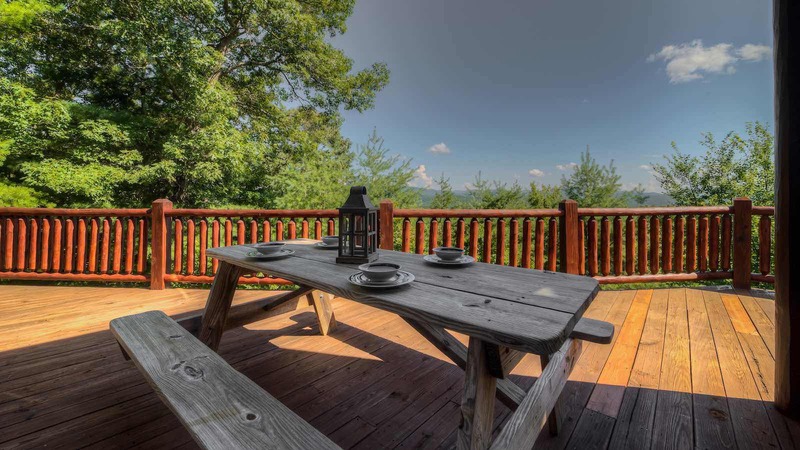 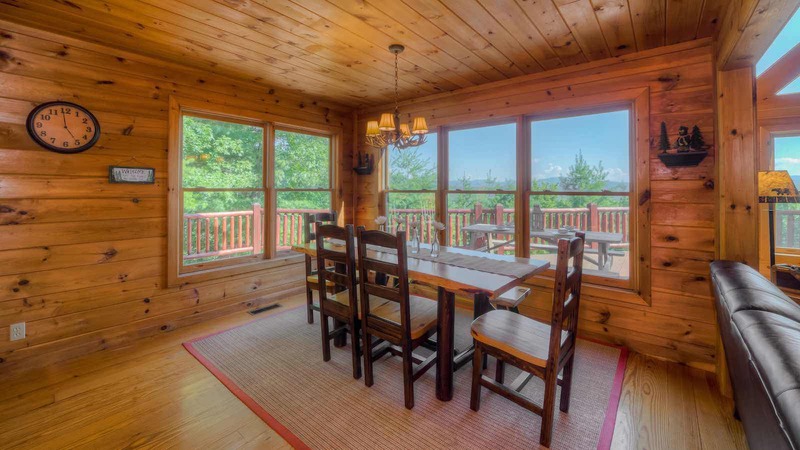 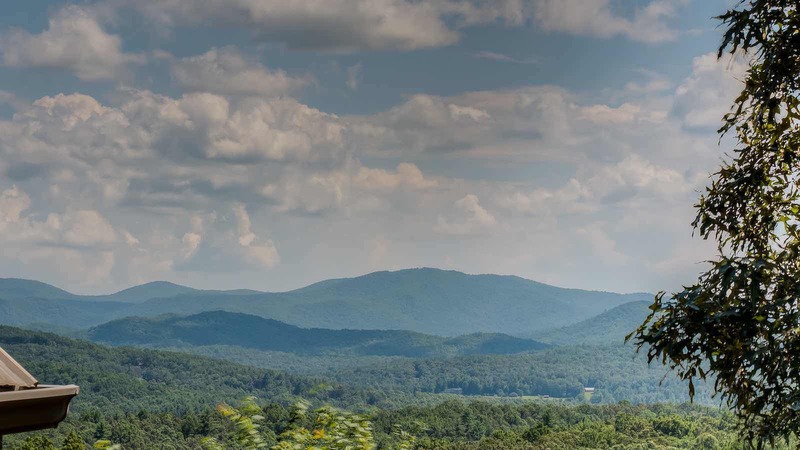 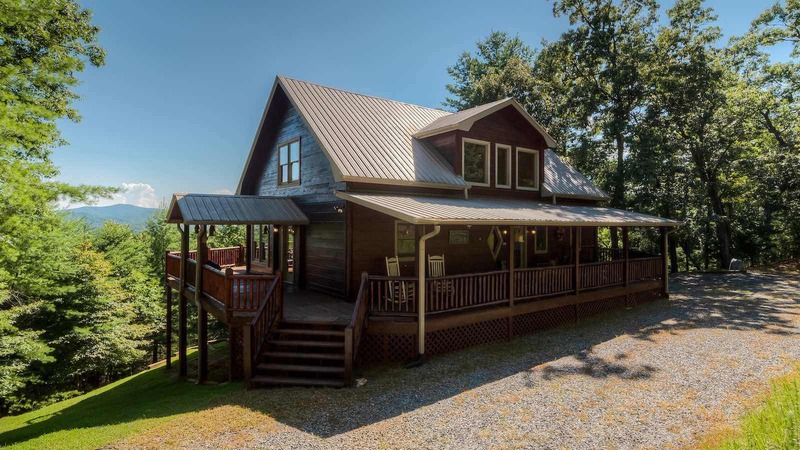 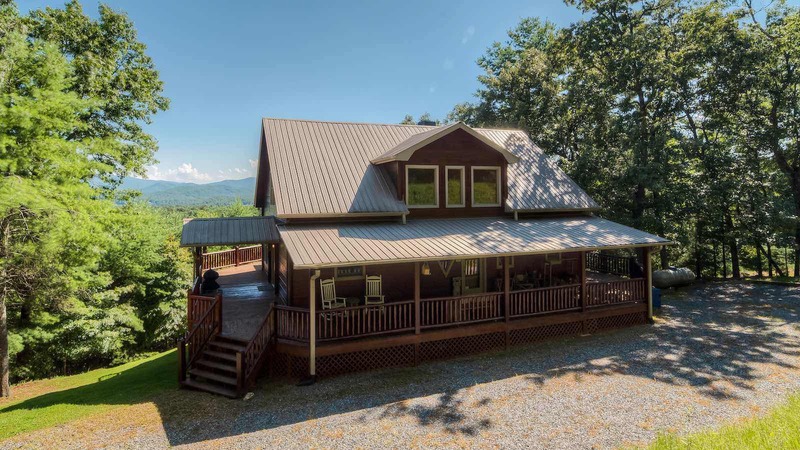 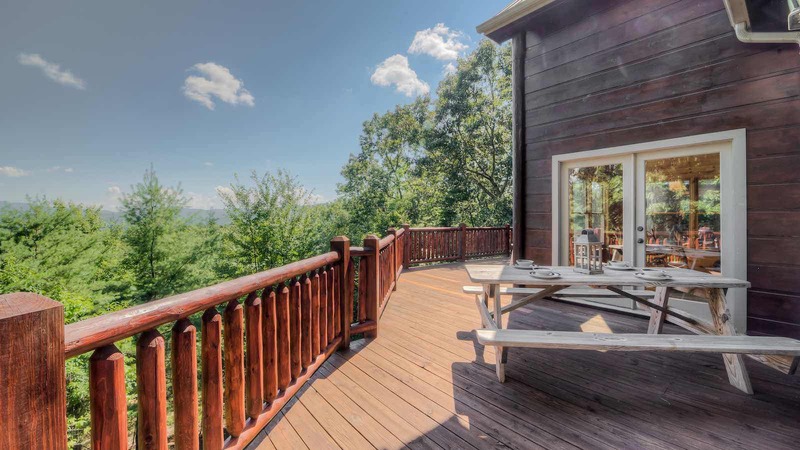 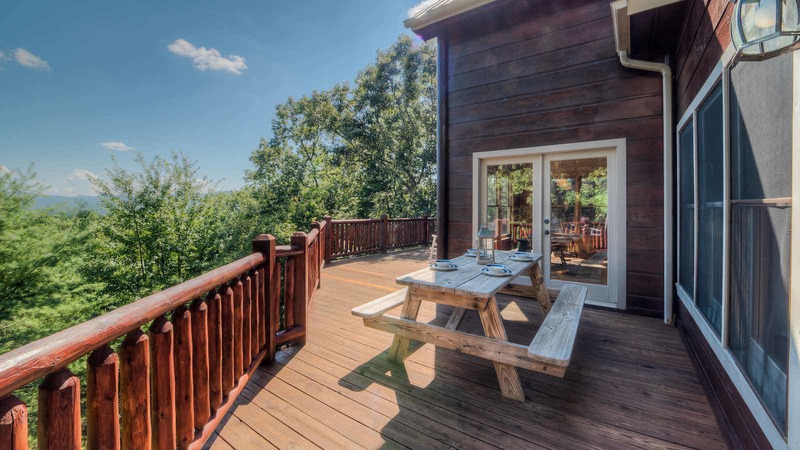 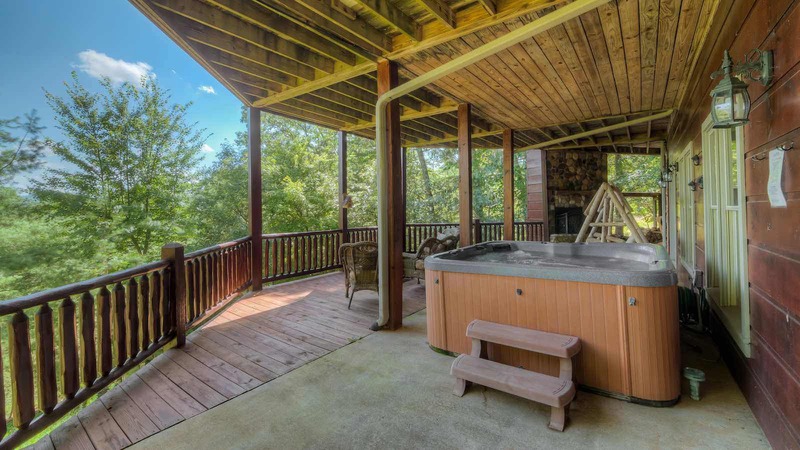 If you are looking for a luxury cabin rental in the Blue Ridge Mountains you have just found it! 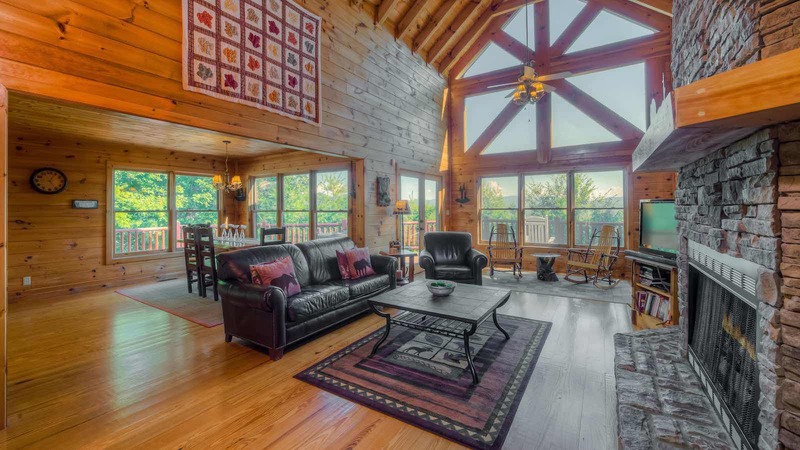 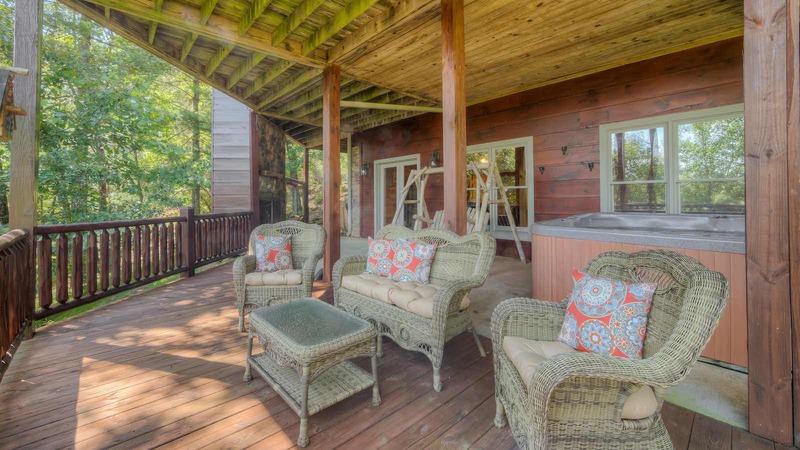 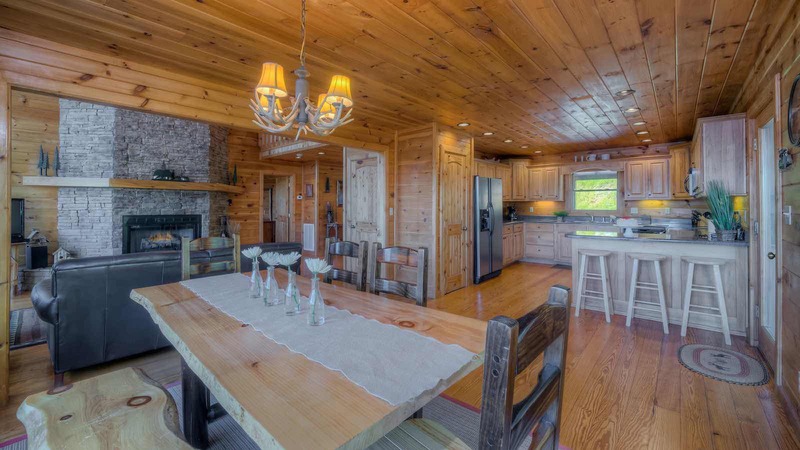 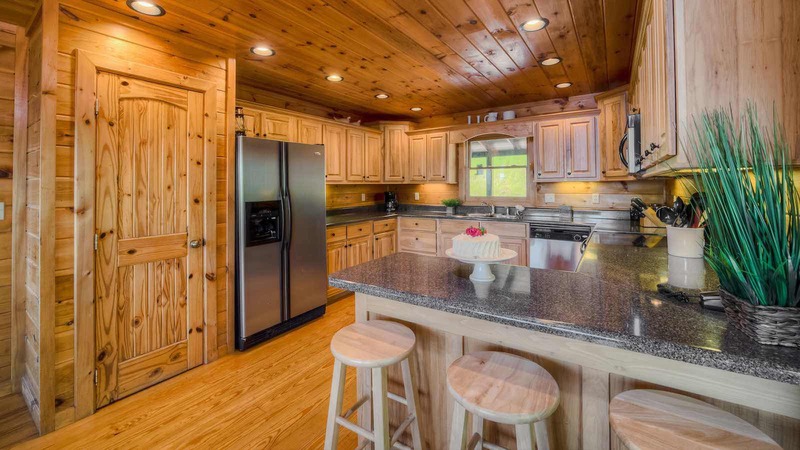 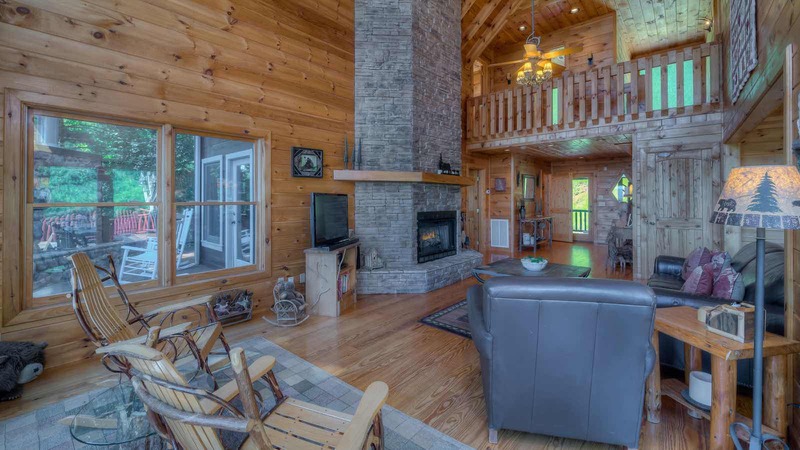 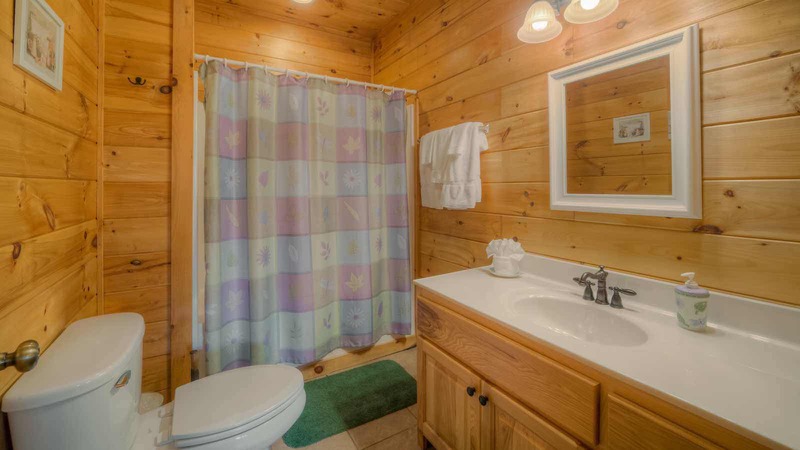 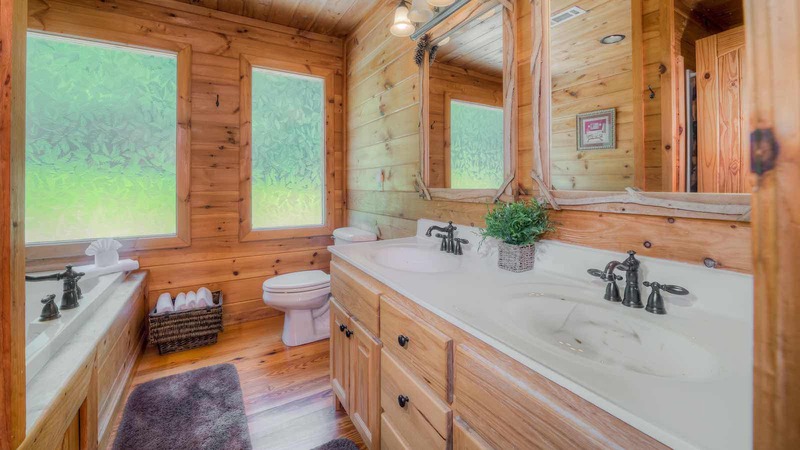 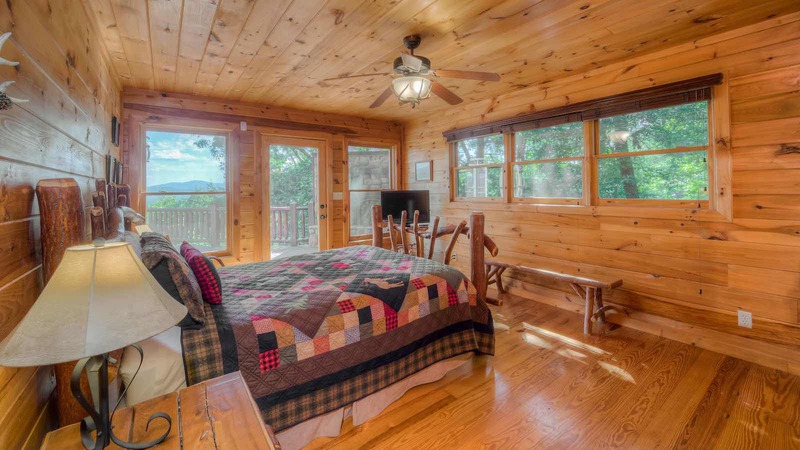 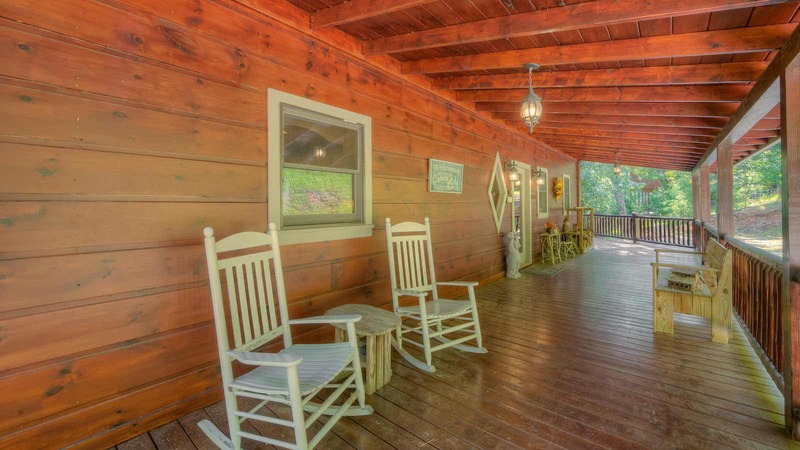 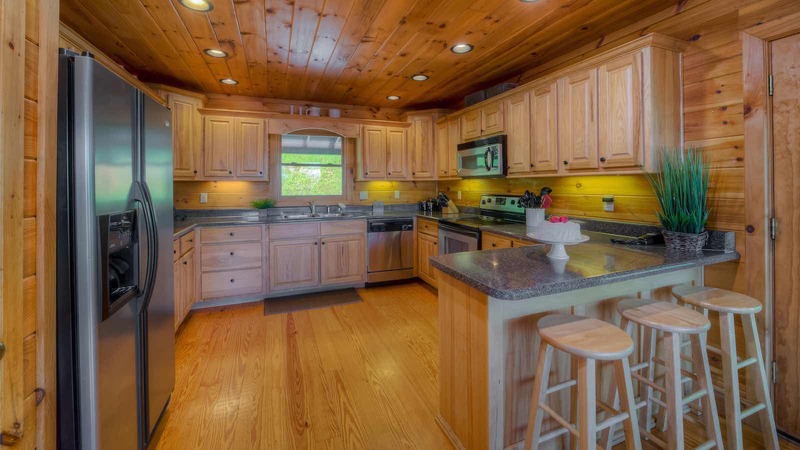 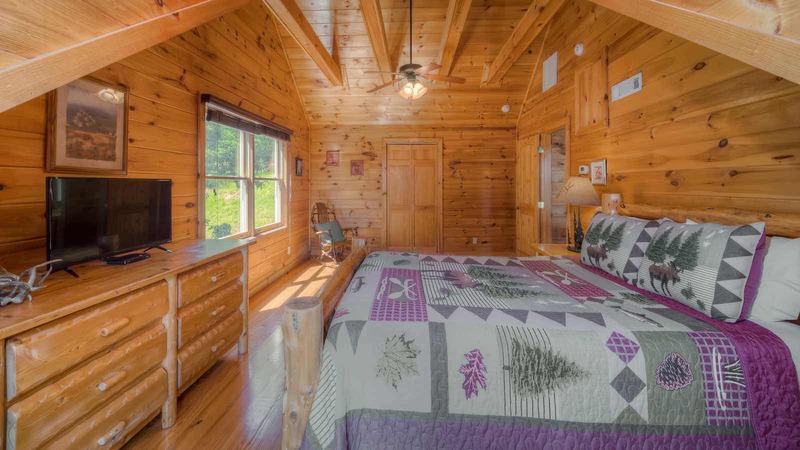 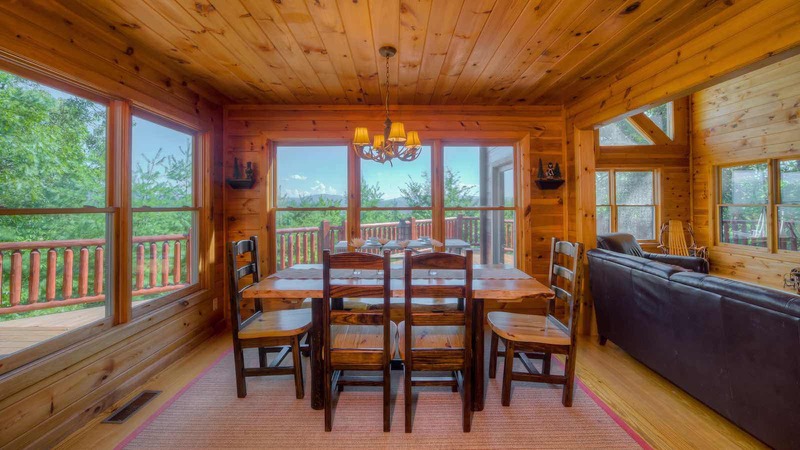 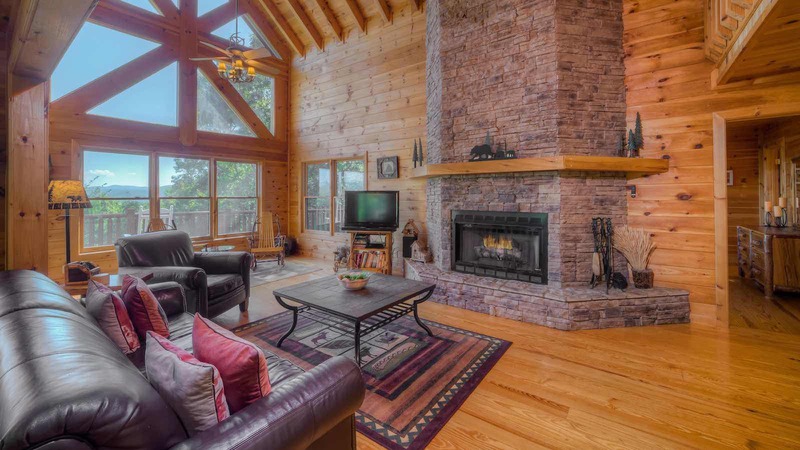 This gorgeous cabin is furnished with all custom rustic furniture and beautiful decorations. 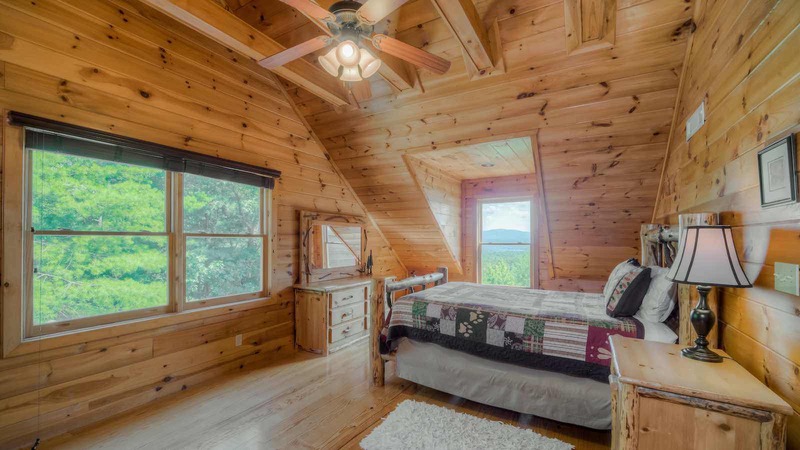 You can see the majestic mountain view from every single room the the cabin! 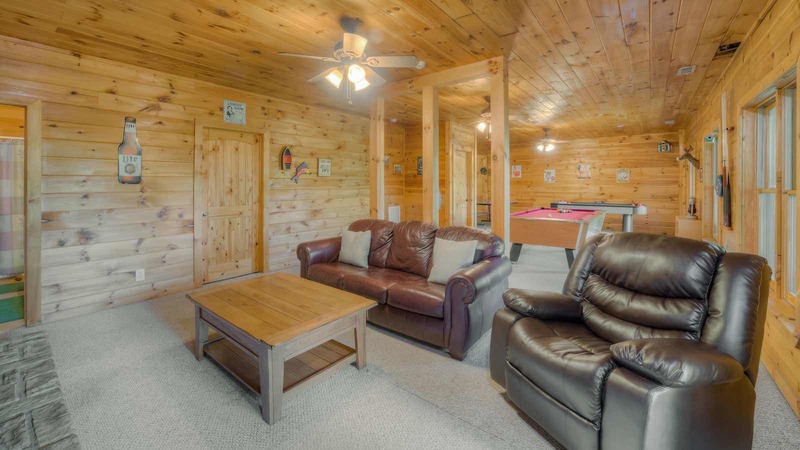 Pinecrest is located at the end of the Aska Adventure Area so you are minutes from all the outdoor activities our wonderful area has to offer such as hiking, biking, canoeing, tubing, etc.. 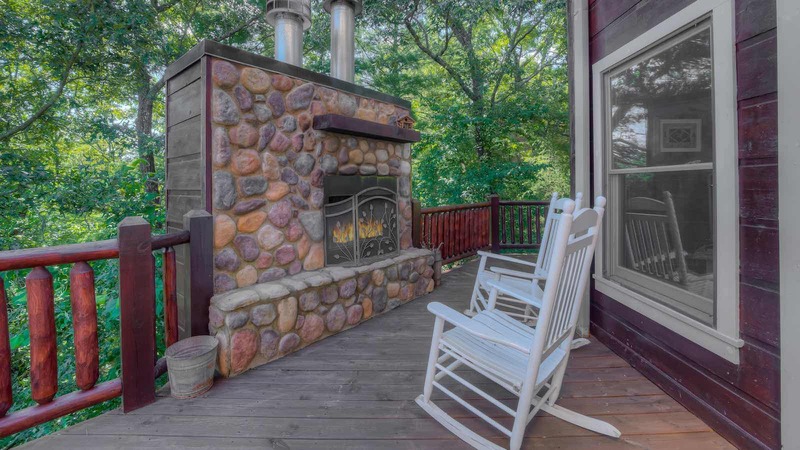 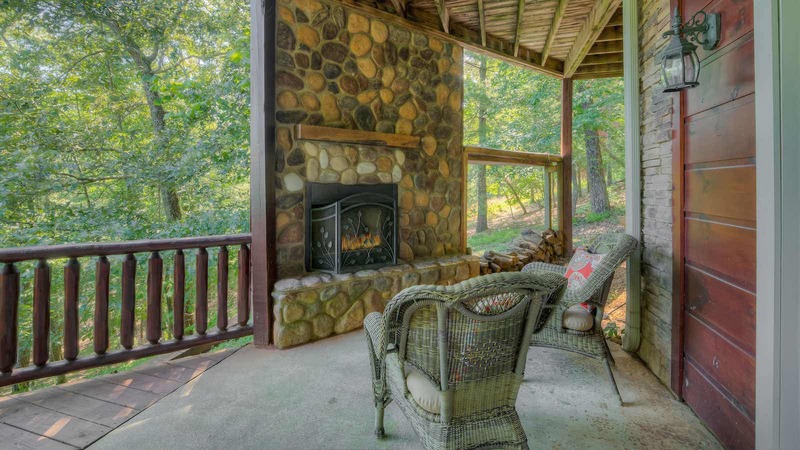 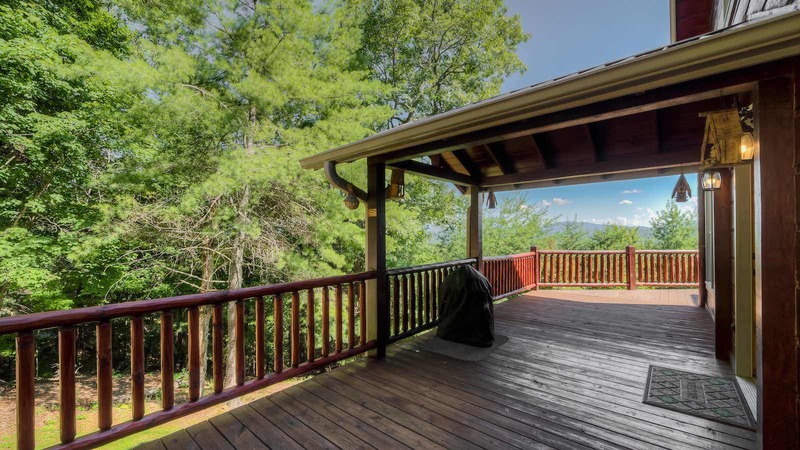 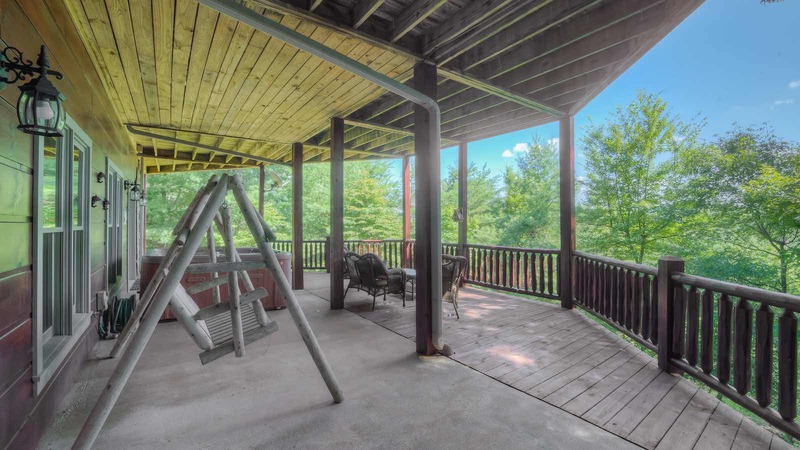 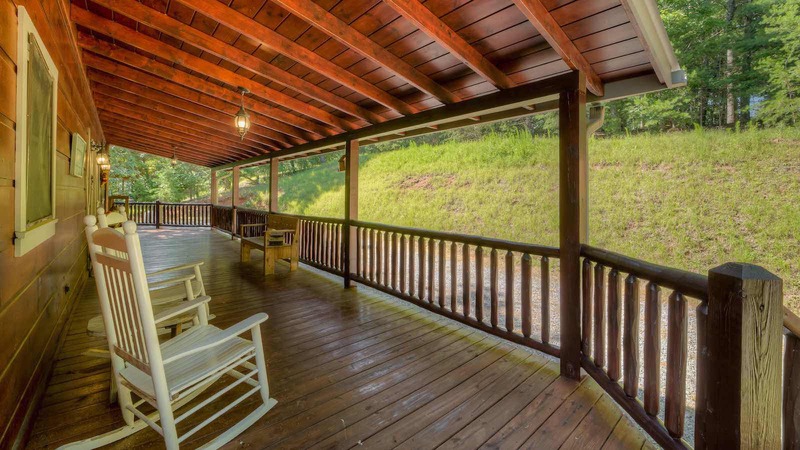 The main level has a huge wrap around covered porch/open deck with rockers and a massive floor to ceiling wood burning rock fireplace that spans two levels. 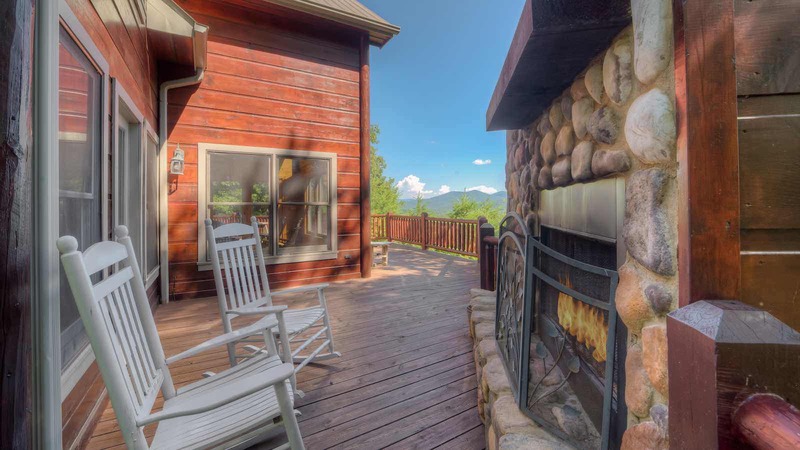 Just imagine sitting in front of a crackling wood fire in a rocking chair and looking out at the lush green mountains......Inside the main level you will find a huge kitchen with a bar and a separate dining area lined with windows, for wonderful long range mountain views! 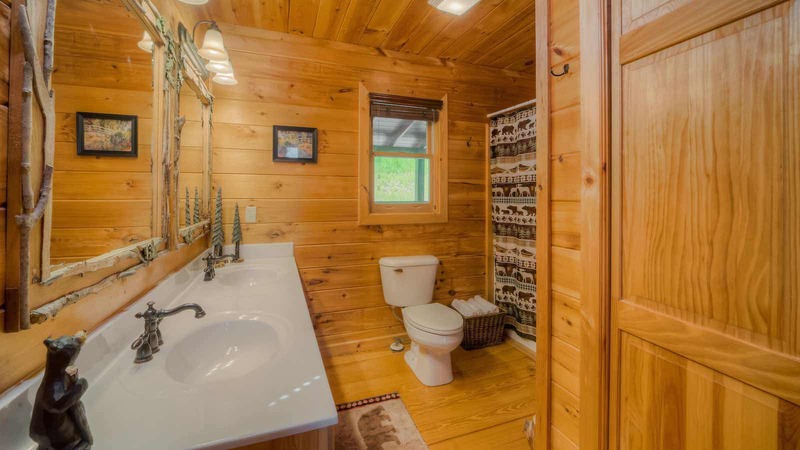 Just a few steps from the living room is separate powder room/half bath. 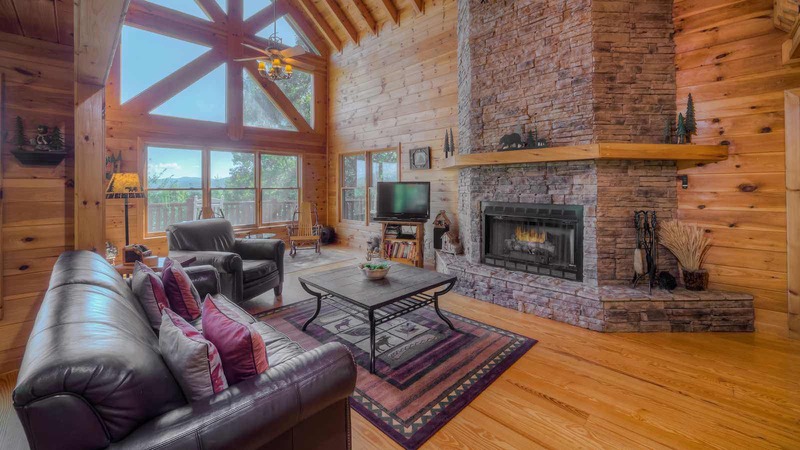 The living room is centered around a massive rock fireplace with gas logs, rocking chairs, flat panel television, and luxurious leather furniture. 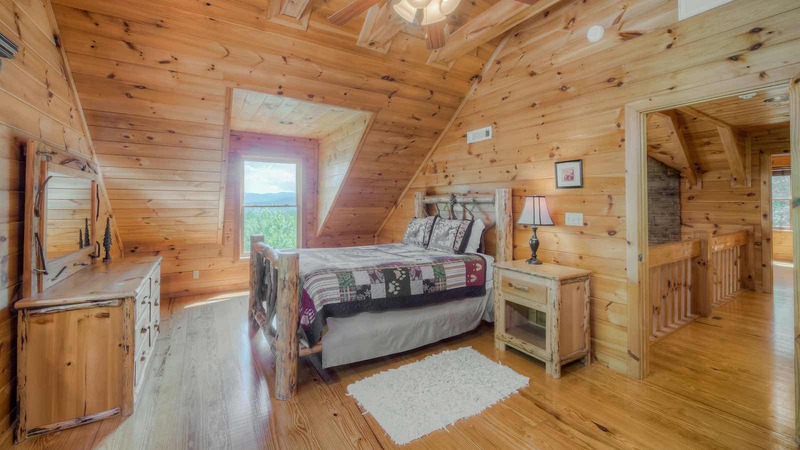 The bedroom on the main level has a log queen bed and a private full bath with double glass doors which lead onto the open deck, wonderful for taking in the night sky. 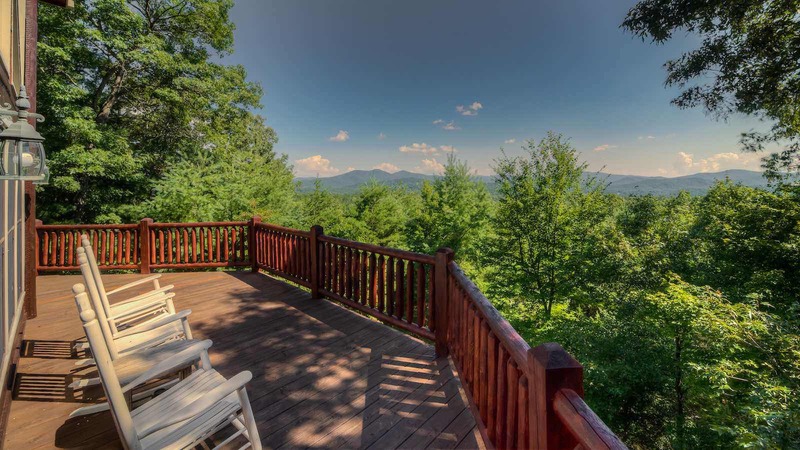 With endless views of the sky and mountains, the night sky view is just as gorgeous as the day view! 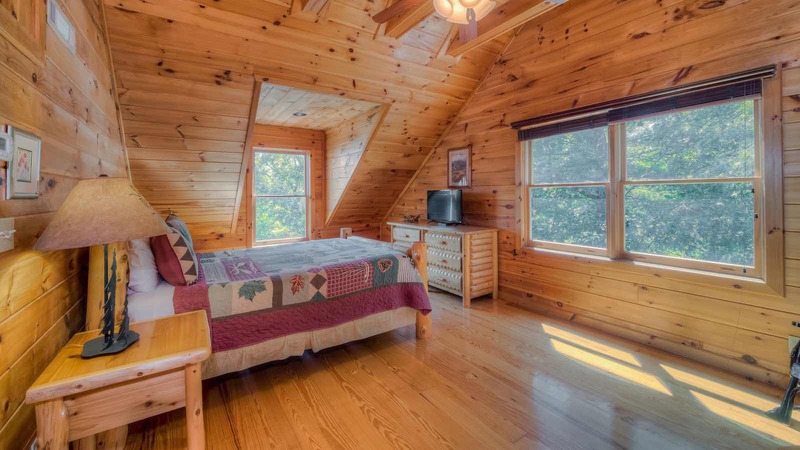 Journey up the log staircase to the upper level which has two bedrooms with log queen beds in each room. 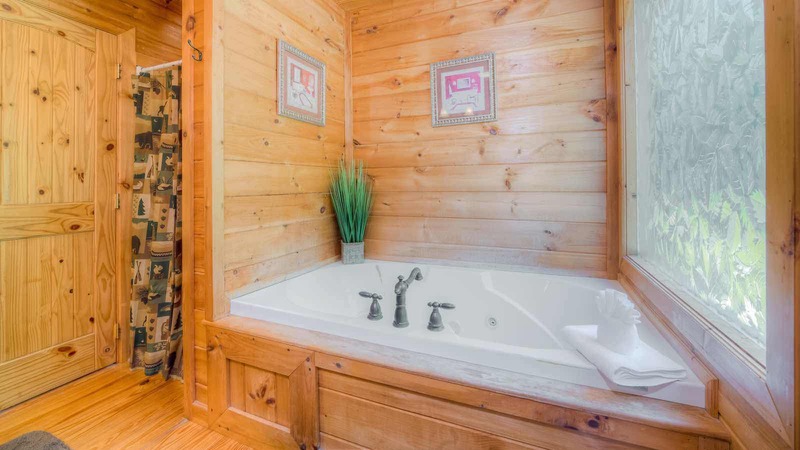 Between is a full bath with a jetted garden tub and separate shower. 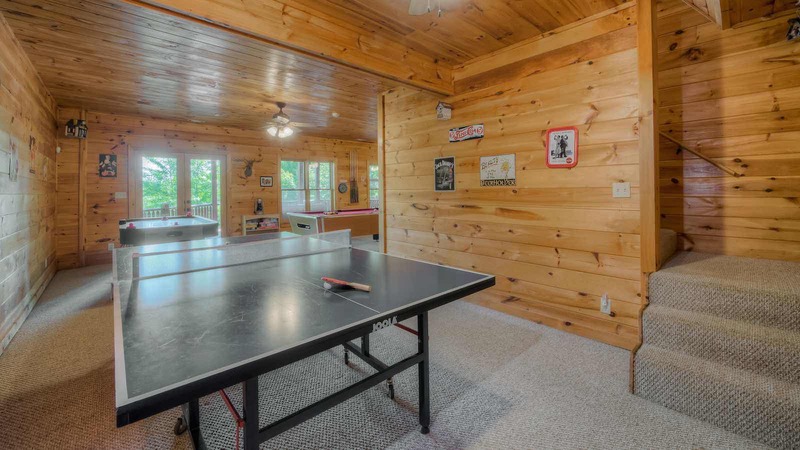 Ready for a little bit of healthy competition? 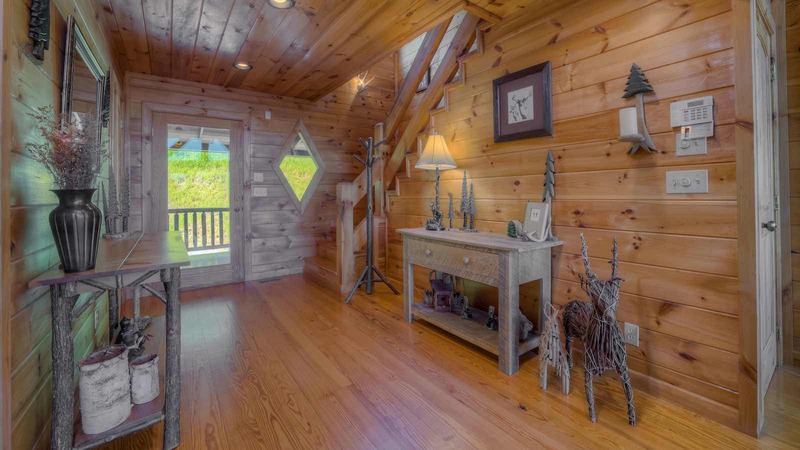 Head down the log staircase to the basement level. 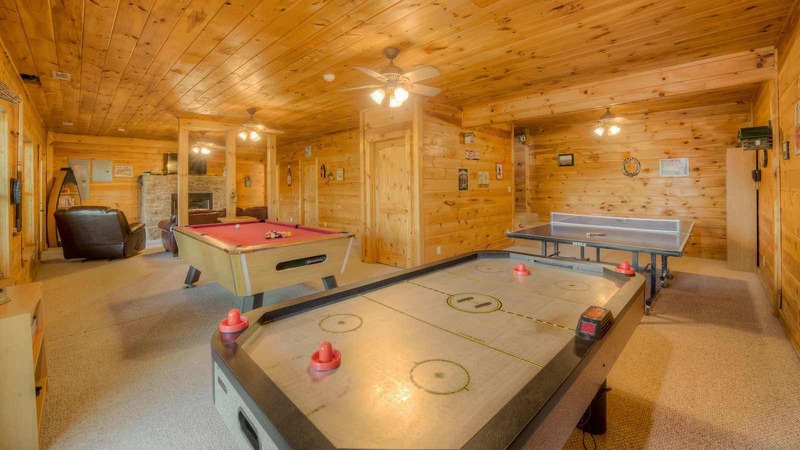 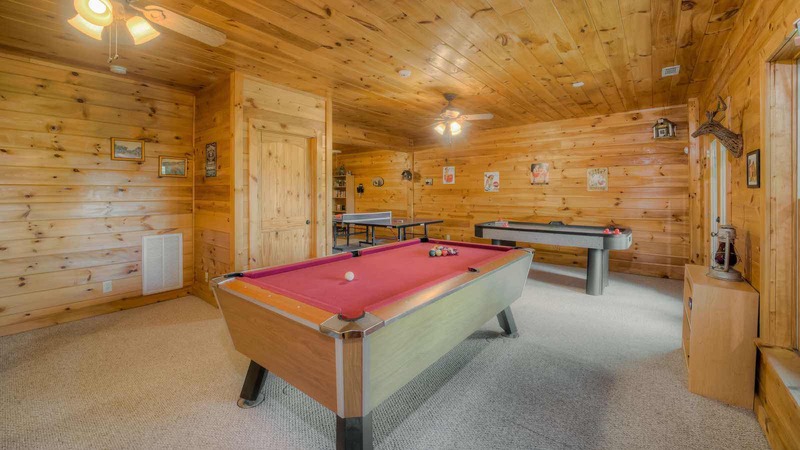 The finished basement level is a game lovers paradise with a pool table, air hockey table and a ping pong table along with a leather sofa and gas log fireplace with a 42 inch plasma screen tv on top with satellite. 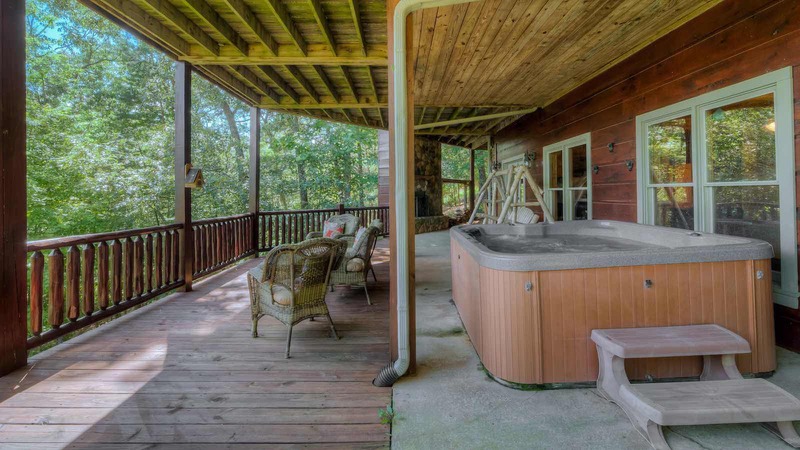 Outside this level is the large hot tub and a fourth rocked fireplace on the extended covered porch with comfortable seating, and of course those mountain views. 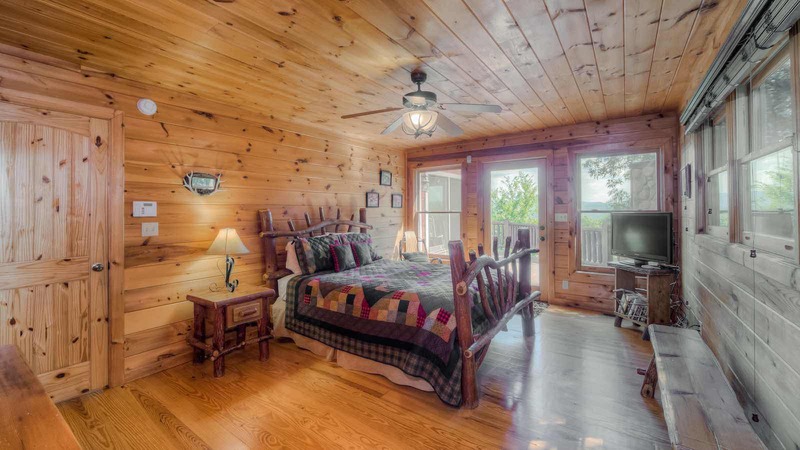 Pinecrest has all the luxuries you desire so your stay at Pinecrest will definitely be an unforgettable one!